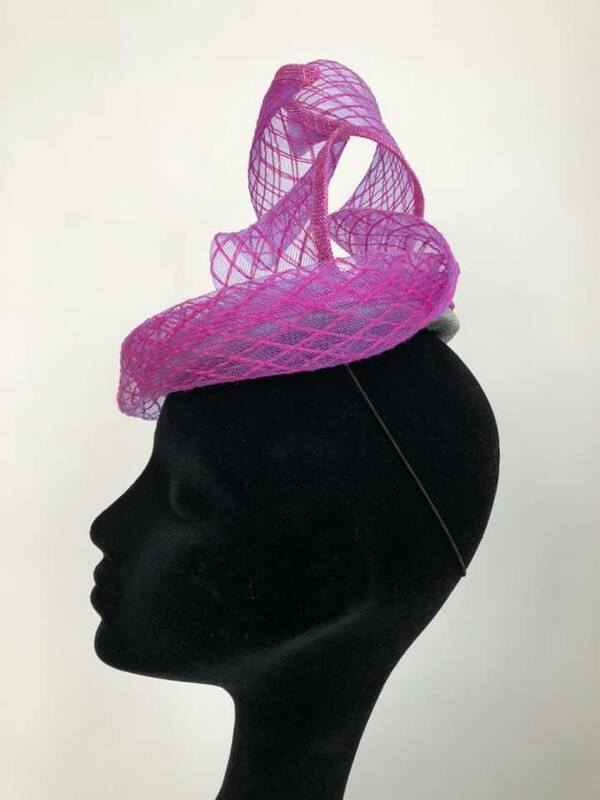 This is the "Moa" hat. 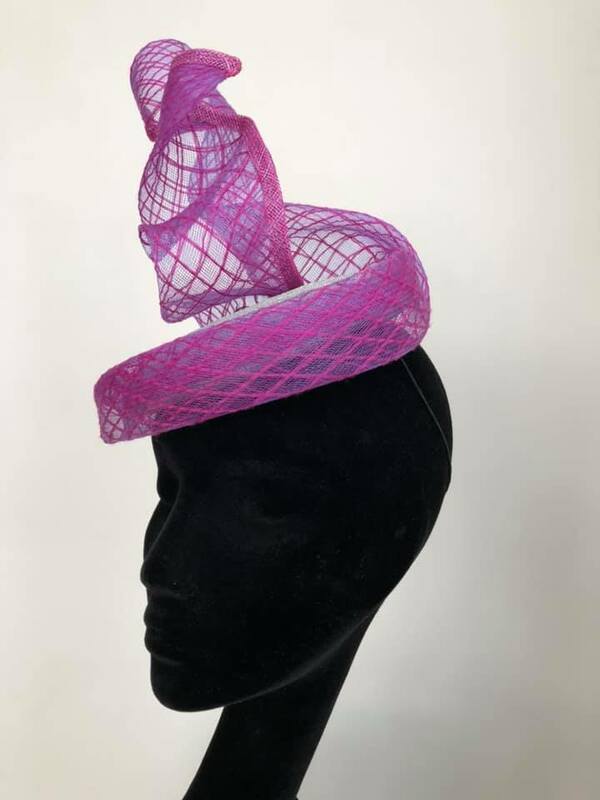 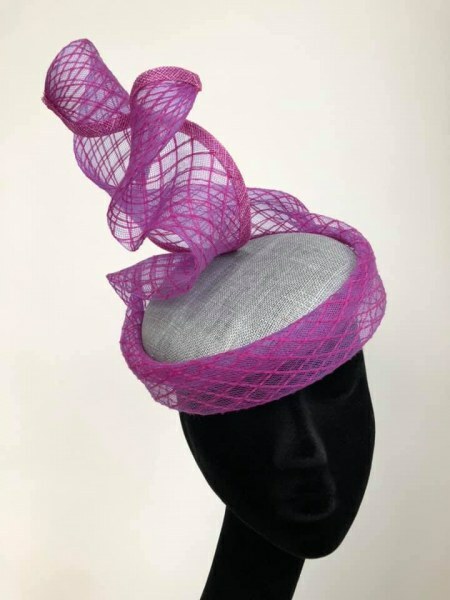 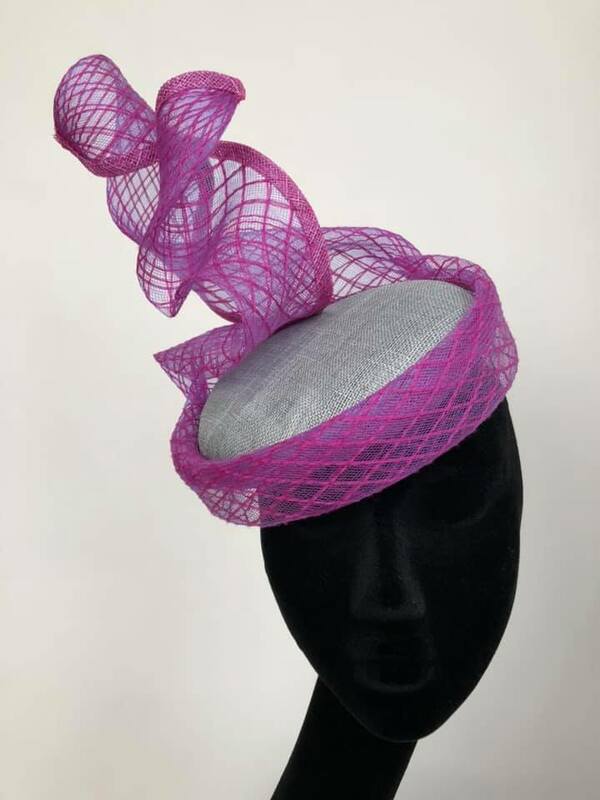 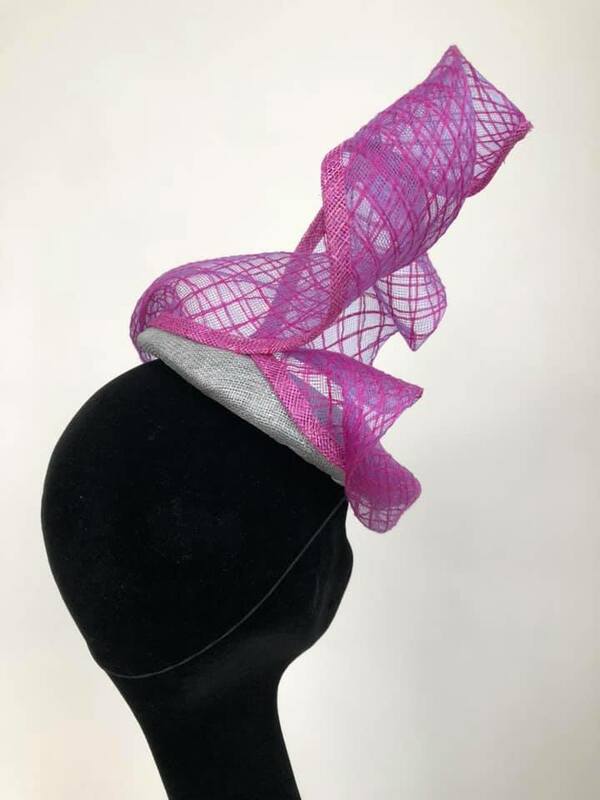 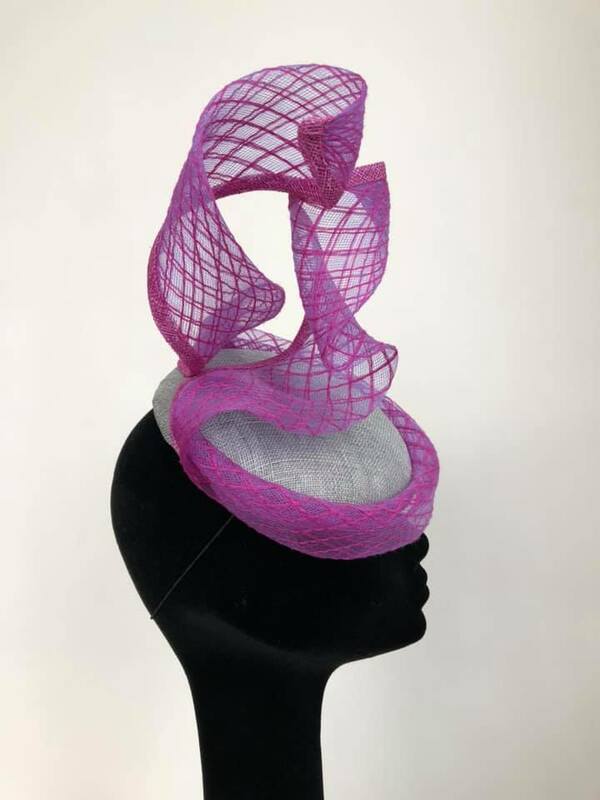 A medium, hand blocked silver grey Sinamay perching button base, beautifully decorated with a single, large hand sculpted purple and cerise pink crinoline swirl. 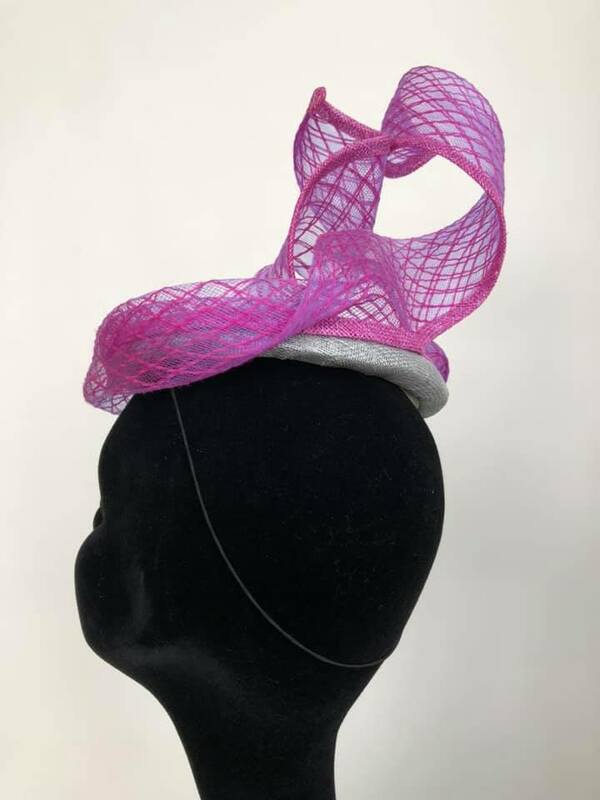 This wonderful design is completely hand sewn, lined with a lavish dark grey satin and is worn on a black millinery elastic. 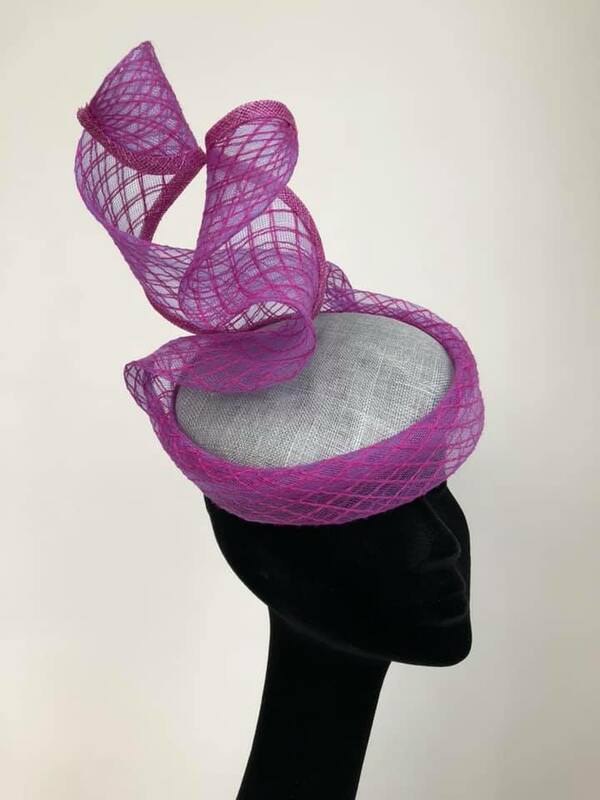 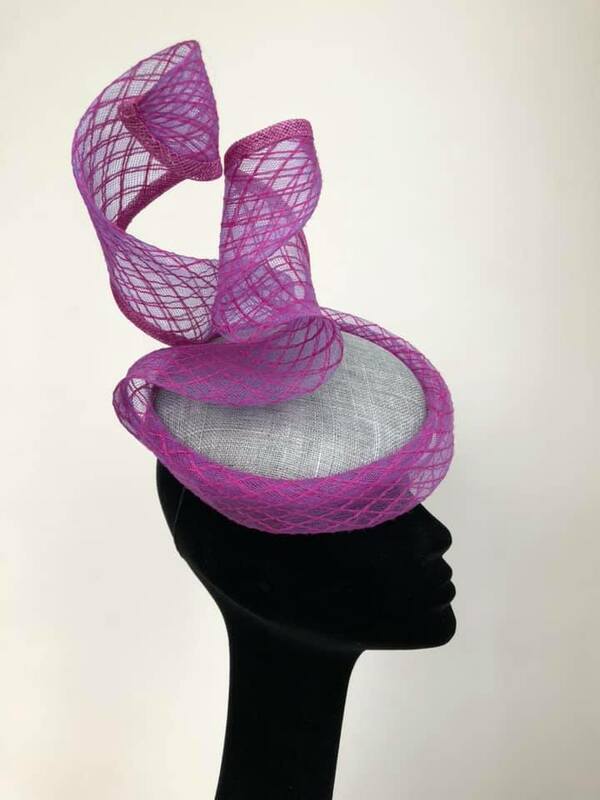 The "Moa" Hat is a stunningly simple and feminine design that will go with almost any outfit!